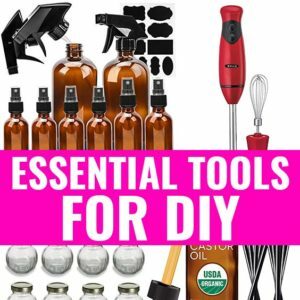 Bone Broth and Rheumatoid Arthritis - beautymunsta - free natural beauty hacks and more! As of today, no cure exists in Western medicine for rheumatoid arthritis, an autoimmune disease where the immune system erroneously attacks the body’s joints and creates pain, inflammation and inflexibility. More than 1.5 million Americans suffer from rheumatoid arthritis, with women being the majority. Rheumatoid arthritis can set in as early as age 30 and juvenile rheumatoid arthritis (in teenagers and children) is becoming more common. It is a debilitating condition, which if left unchecked can cause irreversible damage to the cartilage and joint tissues leading to loss of mobility. ► Weight loss. 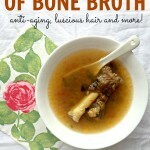 Bone broth helps boost metabolism, burns fat cells and assists with healthy weight loss. ► Prevents premature aging. Nutrients in bone broth fight free radicals, promote healthy renewal and regeneration of cells and prevent premature aging, sagging skin and grey hairs. ► Treats gut ailments. 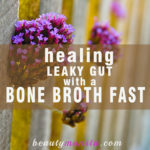 Bone broth helps treat conditions such as IBS (irritable bowel syndrome) and leaky gut syndrome by healing the intestinal lining. ► Promotes digestive function. 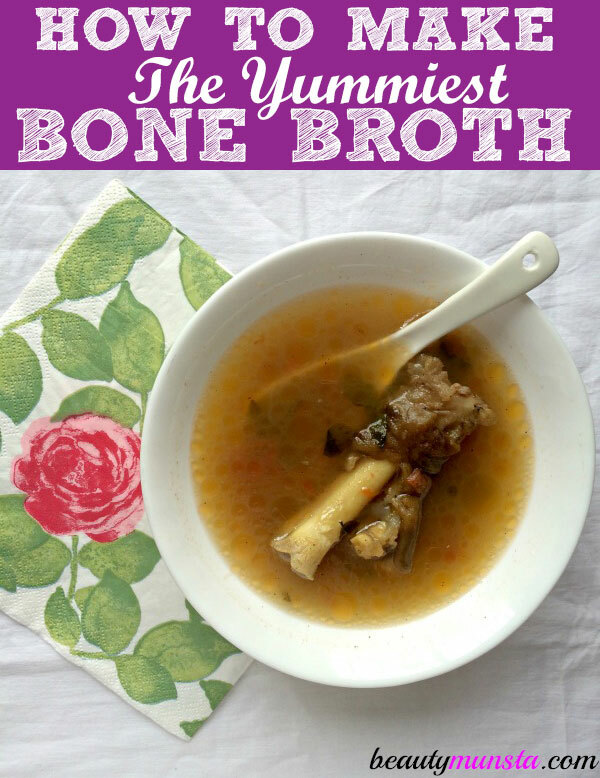 Nutrients in bone broth are easily absorbed by the digestive system, soothes the digestive system and reduce digestive burden, often faced when breaking down processed foods that make up most of our diet today. ► Reduces the appearance of cellulite. 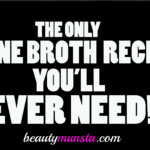 Bone broth bolsters collagen production, strengthens connective tissues under the skin and helps reduce the appearance of cellulite in women. Although it is claimed that destruction caused by rheumatoid arthritis cannot be reversed, a study carried out in Kiel University, Germany showed that collagen, found plentifully in bone broth, when added to joint tissues, stimulated the production of new cartilage tissue. 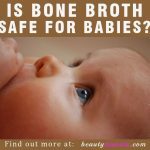 Research conducted by the Department of Gastroenterology in Heraklion Hospital, Greece, found that gelatin (abundantly found in bone broth helps support healthy gut function by repairing and building the lining and providing the beneficial flora in the gut with probiotics, which help increase and maintain healthy levels of serum collagen. This helps reduce cartilage damage in those suffering with rheumatoid arthritis. In autoimmune conditions, such as rheumatoid arthritis where the body attacks itself, a report published by the Pulmonary and Critical Care Section of Nebraska Medical Centre, USA, revealed nutrients found in bone broth help promote healthy inflammatory responses and support normal immune system function. 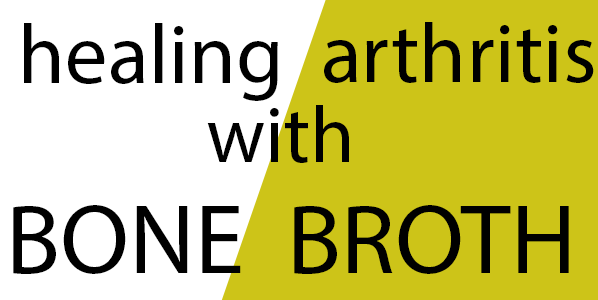 Many studies, including one conducted by the Creighton University Medical Center, USA, have proven that nutrients contained in bone broth play a huge role in relieving inflammation and stiffness in arthritis. Findings by the National Institute of Health, USA show that nutrients contained in bone broth, such as glucosamine sulfate, are more effective at relieving joint pain in diseases like rheumatoid arthritis, than over-the-counter medications. Glucosamine sulfate was also found to vastly slow down the deterioration on bone and cartilage. 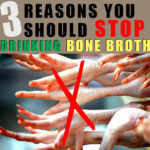 Can bone broth cure rheumatoid arthritis? The cure for all diseases, especially autoimmune diseases, is not found in one remedy but in the application of many remedies. When treating rheumatoid arthritis with the intent of cure, we must consider all facets, including the mental, physical, dietary and lifestyle arenas of a person’s life. ►Minimize stress and tension from your life. It is said that all disease begins in the mind so eliminating negative emotions such as stress, tension, anger and hate is paramount to healing oneself of autoimmune diseases. ►Eat plenty of anti-inflammatory foods, such as ginger, avocado and asparagus. These will help naturally reduce inflammation of the joints. ►Take quality supplements containing collagen, glucosamine sulfate and chrondoitin, all of which have been shown to relieve symptoms and slow down cartilage loss in patients with osteoporosis and rheumatoid arthritis. ►Get gentle exercise, stretching, and regular walking at least 3 times a week. Working out can help strengthen joints, preventing the risk of injury and help stimulate the lymphatic system and draw out toxins effectively. ►Reduce excess weight. Being overweight can put extra strain on your muscles and joints leading to more pain and damage. Lose weight safely and consistently by cutting out junk foods, eating smaller more frequent meals and regular exercise.